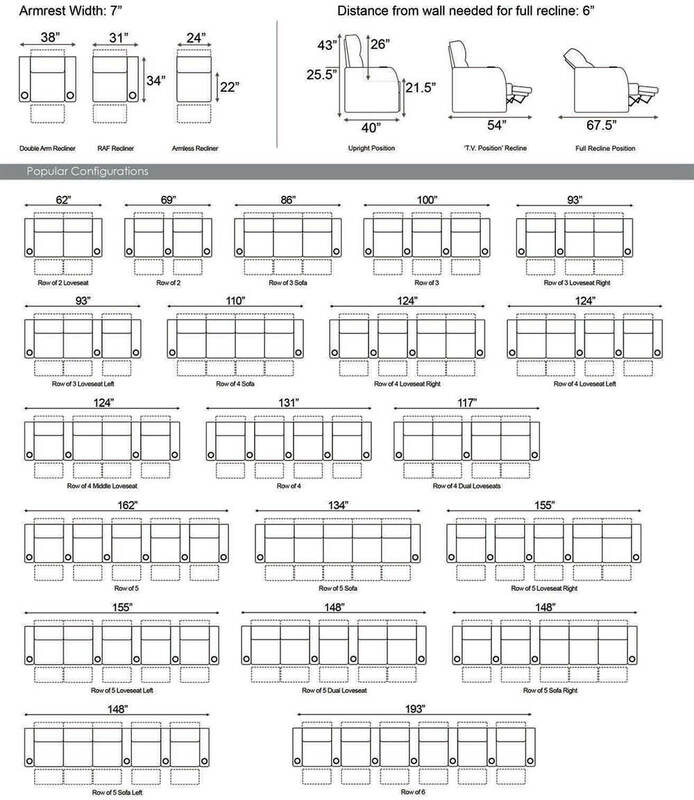 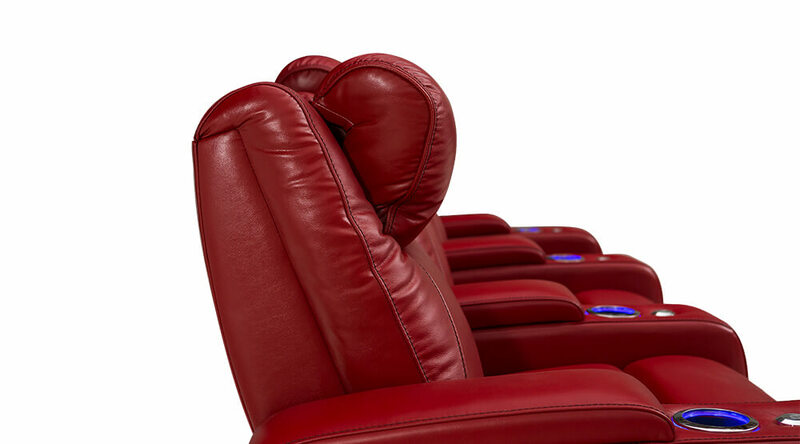 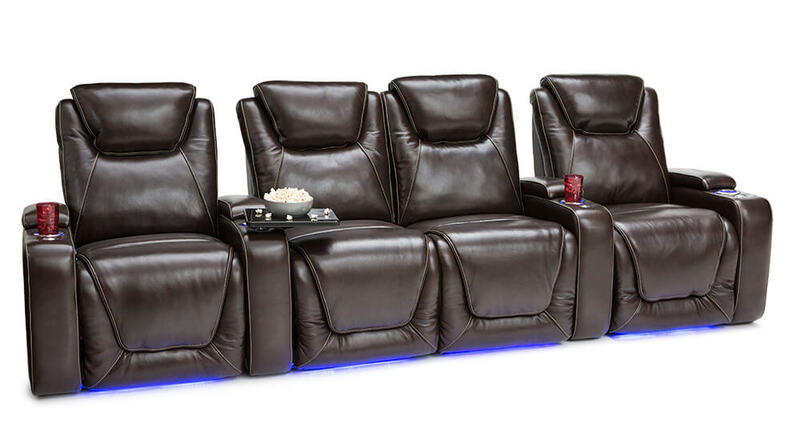 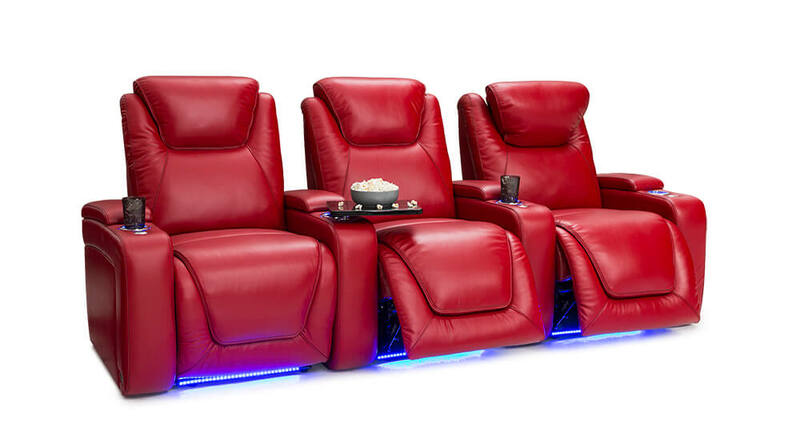 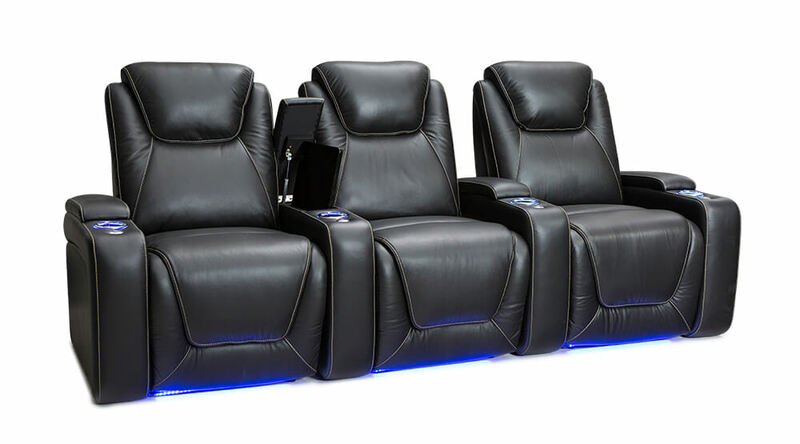 These padded armests flip up to reveal ample storage space for all your theater or living room necessities, letting you keep your chair full of all the luxuries and necessities you may desire. 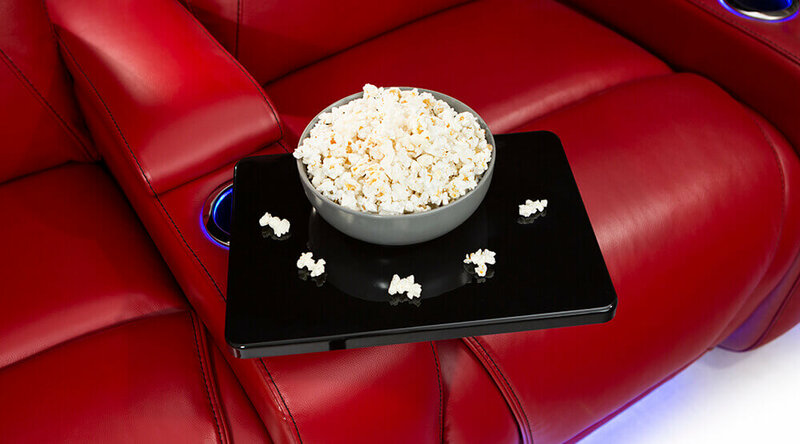 These chairs come with a free black swivel tray table, allowing you to use your laptop as it charges or keep your favorite snacks at arms length. 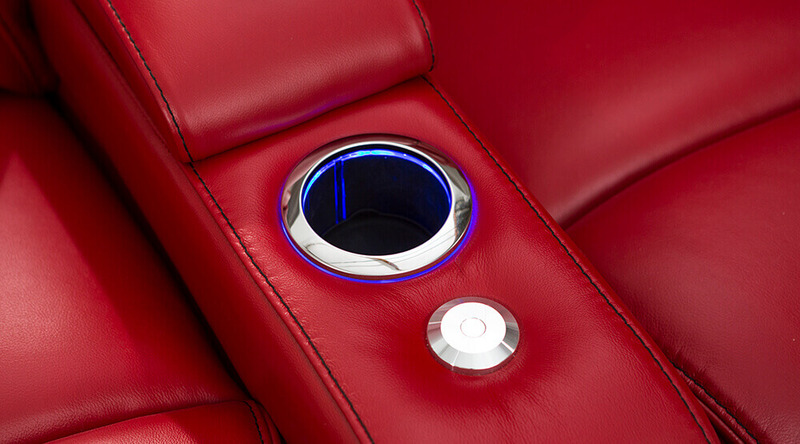 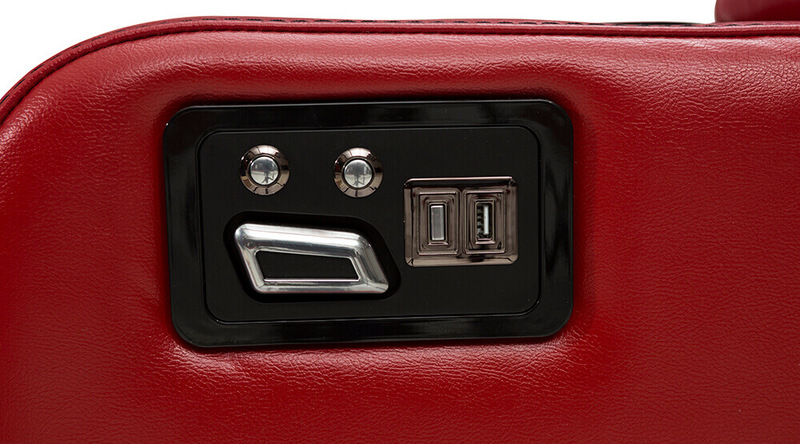 These toggle-able LED cup holders have a special lighting feature which imparts a warm, azure glow. 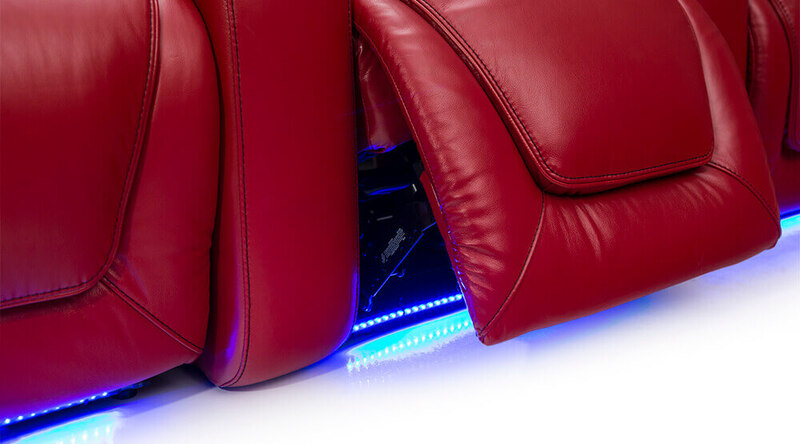 This feature allows the user to see their beverages clearly in the dark, keeping you in control of your experience.